You may ask, “are they not the same thing?” No siree! An hors d’oeuvres is a 1-2 bite food item served separate from or prior to a meal. It can be passed butler style or served as part of a table presentation. Often, cocktail parties will have a combination of passed and stationary hors d’oeuvres. An appetizer, on the other hand, is actually part of the meal. It is the prelude to the meal and is meant to whet the appetite and compliment the dishes to follow, typically an entree, then a dessert. Some of my favorite events have no coursed meal, just hors d’oeuvres presented and meant to be savored throughout the party. This outline is ideal for mingling and not being stuck in one seat. By creating an ambience that allows your guests to feel comfortable walking around in search of the next yummy treat, you also help to ensure a higher instance of sobriety. If you do have a formal meal planned for the evening, it is best to have some type of hors d’oeuvres ready for when guests start to arrive, because rarely do they all arrive at the exact same time and people will need fuel for conversing. 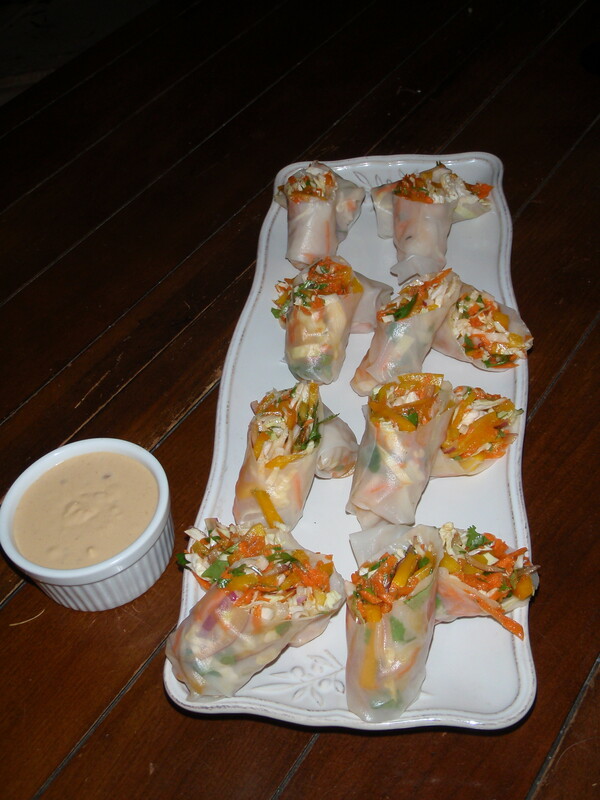 Spring rolls are a wonderful example of a dish that can be either an appetizer or an hors d’oeuvres. I like lots of things to eat too! Fear of commitment can be so delicious!